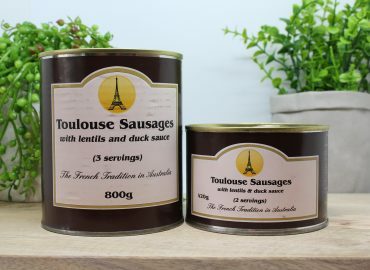 Pour an 800g can of FRANCK FOOD Toulouse Sausages with Lentils in a sauce pan and place over medium to low heat. Stir occasionally. Bring a pot of salted water to the boil and cook the carrots for about 5 minutes or until just tender. Heat the olive oil in a large frying pan over medium heat. Add the garlic and shallots and cook until translucent. Add the precooked carrots to the pan and fry for a few minutes. 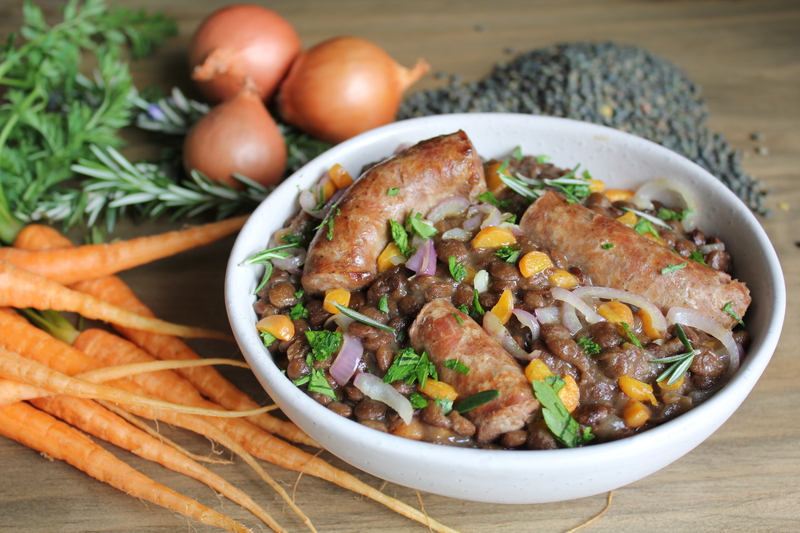 Add the heated sausages and lentils to the pan and bring to a simmer. Serve with fresh rosemary and chopped parsley.